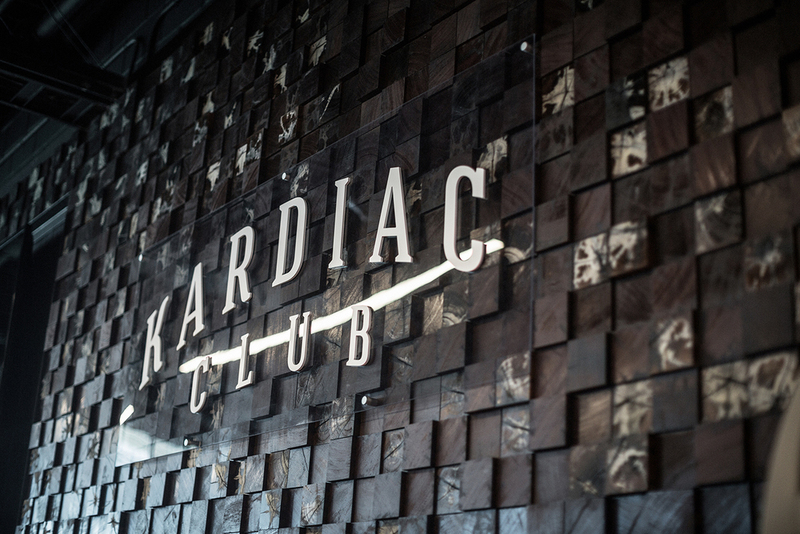 The Kardiac Club, themed after the Browns’ 1980 team, is one of several new premium clubs in FirstEnergy Stadium. The updated premium seating area is in the east end zone on the 200 level and is part of a 2 year renovation plan that includes new signage and banners, makeovers on all of the concession stands and unique food offerings. 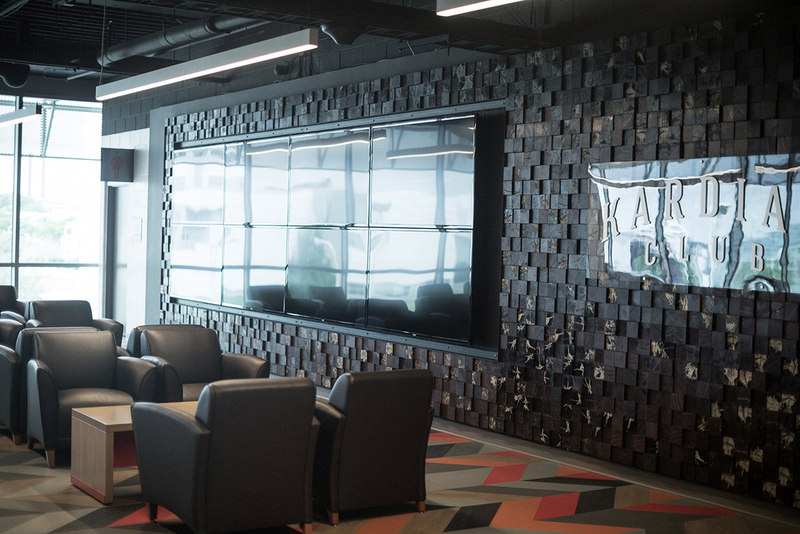 Rustbelt Reclamation was commissioned for several projects in the stadium in collaboration with Interior Design firm Richardson Design, the Project Architect Gensler and the Construction Manager Turner Construction. 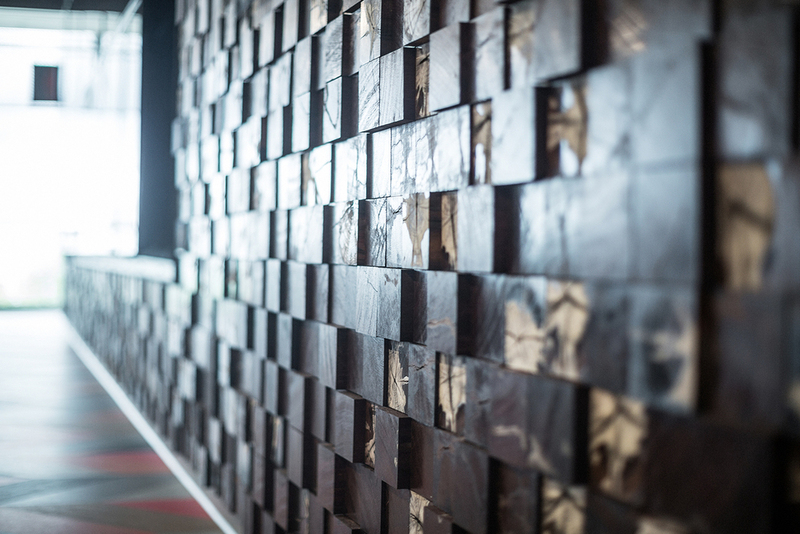 For the Kardiac Club we were tasked with creating end-grain cladding for the far wall opposite the entryway. 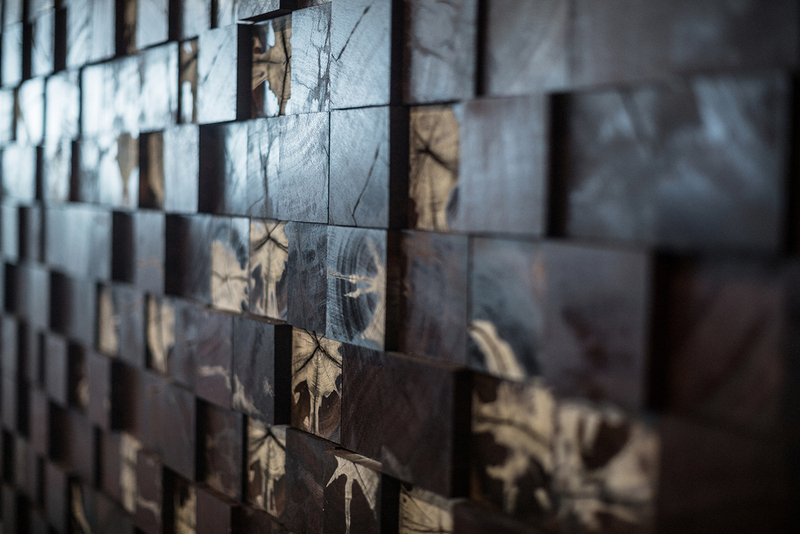 The wood we used was Azobe salvaged from a Morton Salt Mine in Fairport Harbor, OH, where it was used as shoring for the mine's walls. 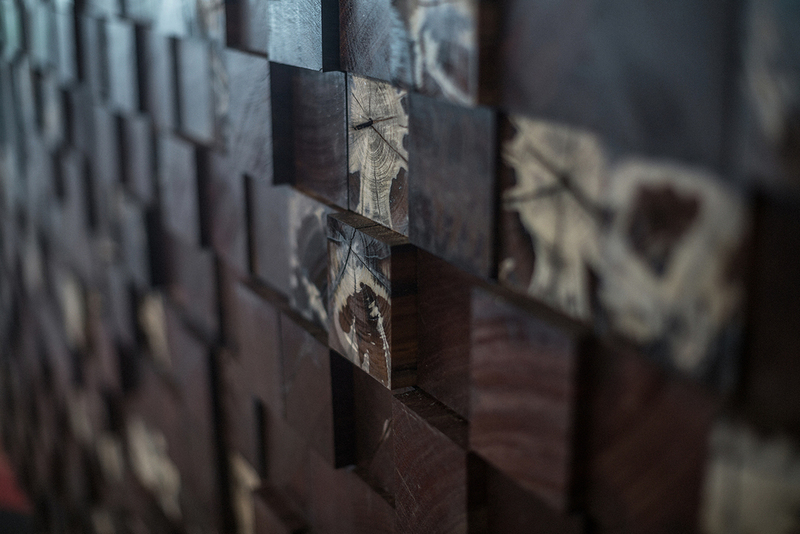 The shoring beams were cut to 4”x4” end-grain blocks of varying heights and were mounted to modular panels. Once we saturated the tiles with a tung oil / bee’s wax finish, it began to secrete the pure white table salt that you see in the images above. A happy accident that creates a striking visual contrast, while telling an incredible story.